If you want to take your garden to the next level, installing some outdoor lights could be the way. Night falls and the gloom outside takes over the streets, eliminating your chances of going for an evening stroll through your garden or enjoying the beautiful view while you sip on a cup of coffee on your terrace. This is a fairly common scenario, where there is not enough lighting in this area of house. Which is why we suggest that you pay attention to this article, because we will teach you how to get the lighting you need for outside of your home without getting a whopping electricity bill. All you have to do is identify where you want and need some good, artificial lighting in your garden and then place lighting strategically so that you don't use up too much power. 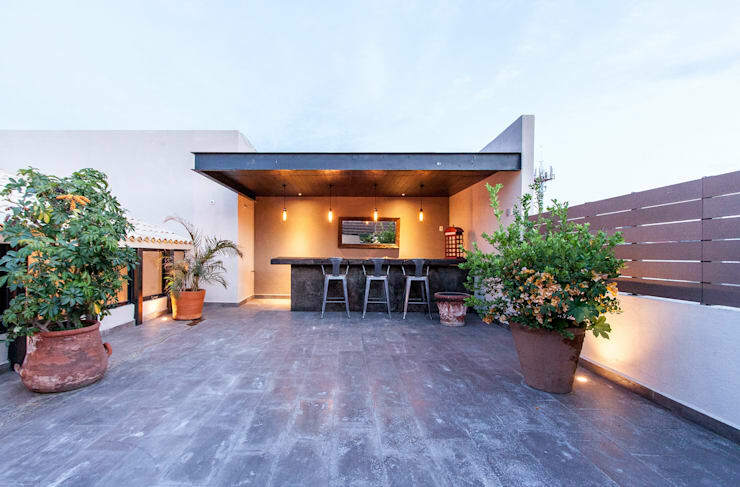 Now that we have convinced you how important lighting is, let's focus on a few tips for lighting up your garden and terrace. An entrance hall without good lighting can leave you lost when there is no sunshine. Instead we want an entrance hall that is bathed in light, which is easy to achieve with the perfect lamp. You can get beautifully designed lamps and lights that hang from the ceiling or that illuminate the entrance hall from the floor or the walls. 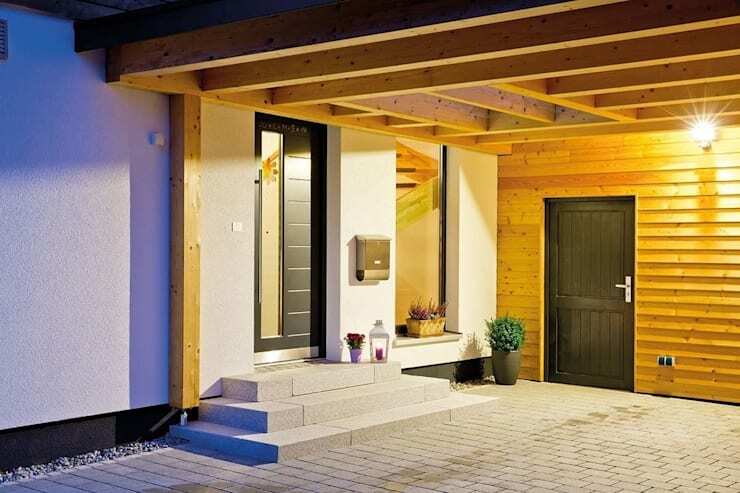 As long as you don't block your front door, you can include a variety of different types of lights or lamps. Just remember to keep it in line with the style of your home so that everything works in harmony, both day and night. This is where lighting can really be utilised and is also essential once the sun goes down. The garage, which is designed to protect your cars, becomes a dark place if there is no lighting, which is not great when you come home at night. But how to install lights without taking up too much space? This is very important because the garage needs to fit the car in. Lamps or lights that obstruct the entrance or take up too much room won't work here. For a garage, lights that are place on the floor level or in the ceiling are the most commonly used. 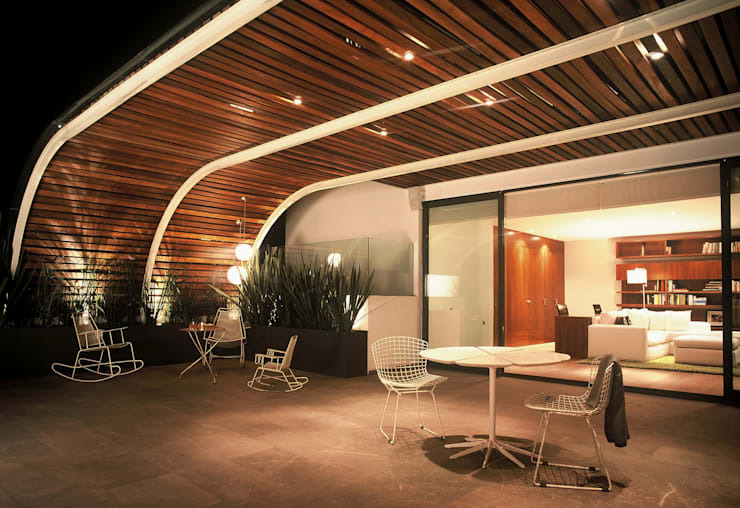 Look at how beautifully illuminated this space, designed by GRAS Architects, is as an example. One of the best places to install beautiful and effective lighting outside is in the ceiling, around the front door, on the terrace and perhaps even in the garden. This is a great idea because the lights do not need a base if they are in the ceiling. With regards to this beautiful terrace, designed by architects Weber, a series of small lights peek out from the wood of the outside roof. Do you notice how good this looks? You can distribute them throughout the entire ceiling for illumination. Sometimes it is difficult to find the perfect way to install lights between our plants and trees and when there are no lights in the garden, the charm of having a walk through it disappears. To avoid not enjoying your garden at night time, it is necessary to place lights in the garden. While the sun shines throughout the day in this space, it is necessary to have lights at night so you can at least enjoy the beautiful views of your garden. 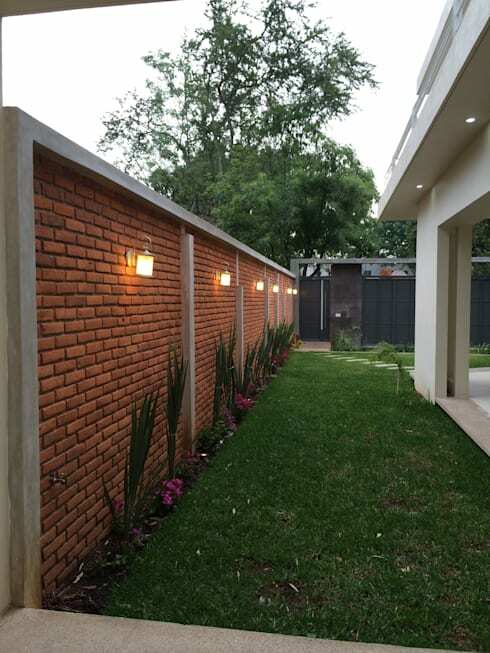 Given how hard it is to put lights in a garden, the best place is to utilise fencing or walls. By installing bright lights on the fence or walls, you can light up the whole garden. 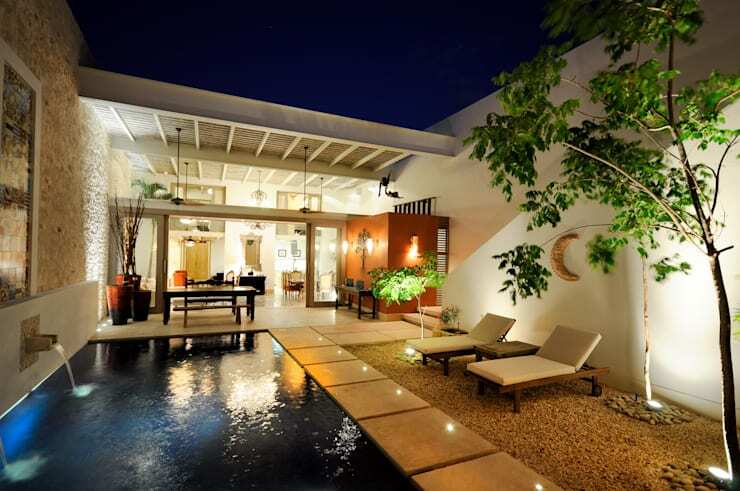 As with this gorgeous example, lights have been placed on the walls by HL Hector Lucatero Architects. This type of lighting allows us the opportunity to continue to enjoy our garden, even when night has come. This option is one of the most practical options for lighting up your garden or terrace: floor lights. That's right, this kind of lighting has become so popular that there are now countless designs and colours so that you can create a completely unique looking area. These lights are usually small and are placed along the floor, such as in the example above. Don't you think they look beautiful? If you enjoyed this, don't miss these: 7 Steps To A Holiday Garden. If you have a terrace at home then we don't blame you for wanting to spend every spare moment on it, whether it is morning, afternoon or in the night. And when night time comes, it is necessary to have good lighting while you're on the terrace. Remember that external lighting should be bright and should work together, collaboratively. Choose key locations to install your lights. You'll notice how this has been achieved in the above image, creating a very cozy atmosphere. How do you light up your garden? Let us know in the comments!